Step out to your private terrace and look out to the flowing river below and the looming mountain above. Bask in the warmth of your private indoor Jacuzzi as the water jets ease the tension away. Relax in your flawlessly decorated living area and feast on the five star cuisine we’re synonymous with in your very own dining area. 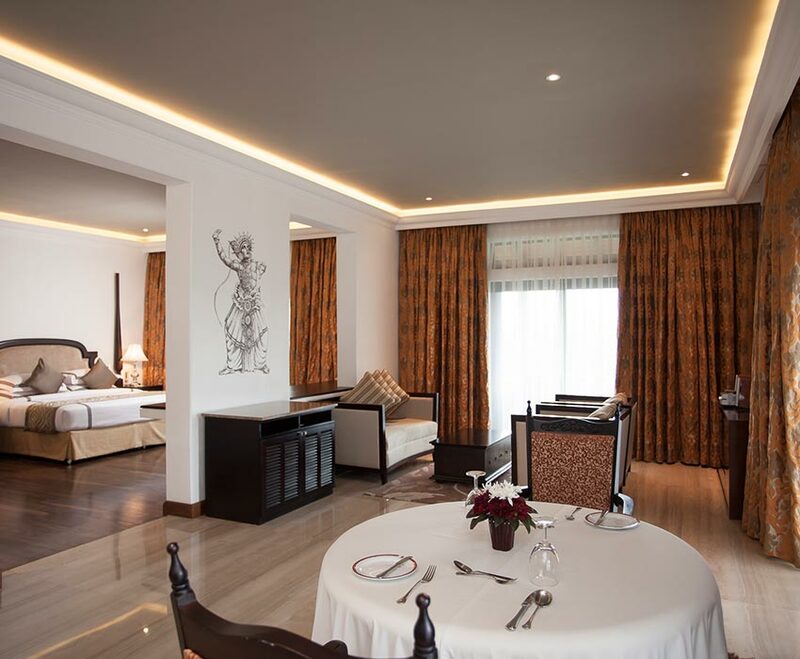 With everything at your fingertips, you will never want to leave our Sri Lankan luxury hotel that features among Five Star hotels in Kandy for its opulence and splendour. Room Dimentions 685 - 930 sq. ft.